The fourth chakra, known more commonly as the heart chakra, is located in the center of the chest, near the heart. The Sanskrit name for the 4th chakra heart center is Anahata, which means unhurt, unstuck, or unbeaten. The heart is known as the symbol of life and is represented by a lotus flower with twelve petals. 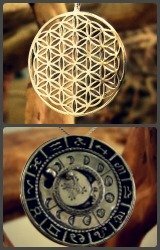 In numerology the twelve petals reduce to the number three. The number three represents the relationship between wisdom, love and power. The heart is known as the symbol of life and the heart chakra is identified as the seat of love. Two colors are associated with the heart chakra, most commonly a soft green. Green symbolizes health and healing. Pink, the color that represents peace, is also associated with our heart energy center. Each chakra has an as element, a verb, a gland, a mantra and a sense that it is identified with. The element represented by the fourth chakra is air and the verb is "to love". The sense that correlates to the Anahata chakra is the sense of touch. The gland that relates to this Anahata chakra is the thymus gland (although there is also a minor chakra, the thymus chakra, that is located between the heart and the 5th or throat chakra). A healthy thymus gland is crucial to a healthy immune system and vital for effective healing of the body. As we have said in our discussions of the other chakras, each chakra is linked with particular parts of the physical body as well as our emotional nature or emotional body. The areas of the physical body governed by the heart chakra include the thymus, heart, blood and circulatory system, the lungs and diaphragm, breasts, shoulders, arms, hands and the thoracic vertebrae of the spine. When the chakra heart is out of balance it can exhibit itself as issues with the heart, the thoracic area of the spine, lung disease, asthma and other breathing problems, breast tumors or problems in the upper back and shoulders. If you are experiencing any of these physical conditions, you may want to look at a imbalance in your heart chakra region as a cause. That cause may possibly be seen in emotional issues or states you could be experiencing. On an emotional level, the heart chakra governs love and compassion, hope, trust, emotional stability and empowerment, forgiveness, wisdom, and healing. It is about our ability to give and receive love; to love both ourselves and others unconditionally. Difficulties with love, feeling a lack of hope, despair, hate, jealousy, fear, anger or moodiness are emotional problems experienced when the fourth chakra is out of balance. A balanced chakra, on the other hand, exhibits itself in a sense of optimism, a nurturing, empathetic and compassionate nature, feeling motivated, and feeling a sense of wholeness or completeness. Any hurtful situation that affects our emotional body wounds the chakra heart as well. That is an important consideration to keep in mind if you are going through something that is hurtful and painful. You may want to look at ways you can protect your heart chakra. One of the most effective ways to develop a healthy chakra heart center is to learn to love yourself. Loving ourselves can be a difficult thing to master for most of us, but you can see from the effect on the heart chakra, and consequently on our physical heart and surrounding organs, how important it is. Gemstones are thought to help balance chakras, especially if worn close to the body. The gem stones that relate to this chakra are jade, rose quartz, aventurine, and rhodochrosite. The essential oils that are compatible with this 4th chakra are jasmine, lavender and marjoram. The heart chakra is all about love in all its forms; about having healthy relationships, both with ourself and with others. It is about showing compassion, having hope and feeling a solid sense of emotional empowerment. 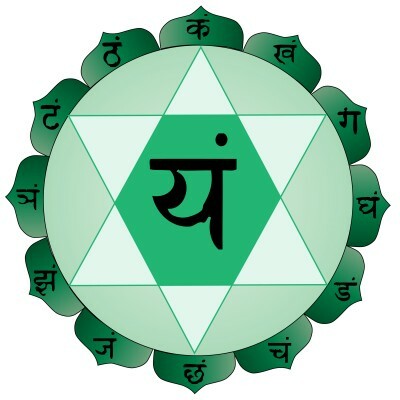 Our purpose in this lifetime relating to the heart chakra is to experience a connectedness with others and a feeling of compassion for both others and for ourselves. Go from the heart chakra back to chakra 3, the solar plexus chakra. Read about the 5th chakra, the throat chakra.